Are all diapers created equal? Certainly not, and if you are a parent, then you already know that some definitely work better than others. When it comes to disposable diapers, I must admit I have not exclusively bought one brand, and I don’t just stick with brand names. With twins trying to explore the best diaper options that were cost effective and leak free wasn’t easy. In general, what I have learned is that it may depend on the child, but below I will guide you through which brands worked best for my girls. My findings are honest and the results of trial and error. Please let me know if you find this review helpful. Pampers Swaddlers is the very first brand that I tried. My girls first wore their preemie sizes and then their newborn diapers. When they were newborns, these worked fine for our fine. I liked the fact that they were not mostly plastic, but soft like cloth. Unfortunately, as my daughter grew (by the time she reached stage 2) these diapers no longer worked for her and she would get her clothes soiled maybe an hour later. However, Pampers has their new Pampers Baby Dry that work a lot better. We were blessed that my friend gave us a huge box of huggies stage 2 (Snug n Dry). These diapers kept both of my girls dry day and night. They also come in dual sizes, which I loved (such as size 1-2). These sizes were great for my growing girls because my daughter was always larger and if I purchased the dual sizes both of my girls could wear the same size diapers. My only complaint is that when the diapers were full the designs on the front sometimes colored their white onesies, but the dye came out in the wash.
Luvs worked for my girls day and night. They are mostly plastic, but kept the girls dry. They are also inexpensive and were often on sale at our local drug store chains so when I could find a coupon in the local paper I tried to purchase these diapers. My only complaint is that these diapers cannot be purchased everywhere. If Luvs are your brand of choice I recommend buying them at BJs Warehouse if you have a membership because they have larger quantities and you can use coupons. I probably never would have tried these generic diapers if my husband didn’t come with a bag boasting of his savings. 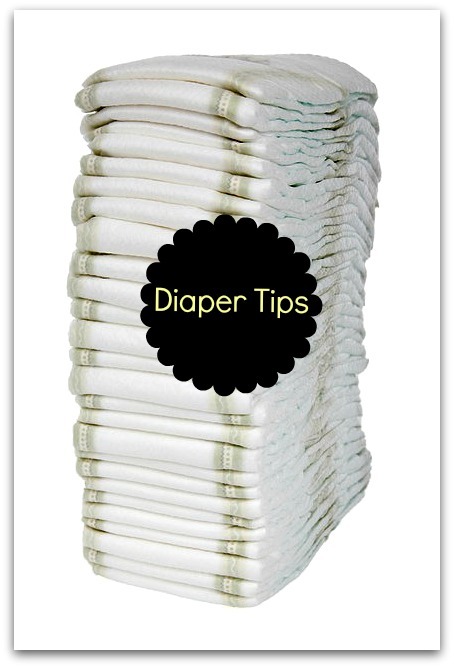 In short, these diapers can be used for daytime only with frequent changes. They are cheap so a couple of more changes a day isn’t upsetting. I do not recommend these diapers especially during the night because they leak and turn to a putty gooey-like substance in the front when full. These were the worse diapers I ever tried. You can only use them for daytime and they even leaked then. Both of my daughters had a hard time staying dry with this brand. Save yourself the time and money and do not purchase these if you can help it. I figured that Babies R Us would make a good quality generic brand, but that was not the case. The diapers are cheap but no good. Very inexpensive and they were pretty good if you change your child frequently. As far as generic brands go, these diapers work well for daytime only. My girls were usually home with me in the day and were changed every couple of hours, at night I used Huggies Snug and Dry because most generic diapers don’t have a special leak guard that works during the night. CVS recently had a Mega clearance sale where a pack of 52 diapers were on Clearance for $3.59, and we had a coupon. These diapers were worth the money. They work well. So far, they work day and night. I also really like their generic Pull Ups, the design is cute and they work just as well as the brand name ones, so when I can purchase these and get a great deal I will. CVS is my favorite generic brand because the diapers are cost effective and they work well so I don’t feel like I wasted my money. Truthfully, I am somewhat surprised by the fact they these are some of the best generic diapers on the market, but they work for us. The key is that you need to change your child/children regularly. If he/she sleeps really long hours doing the night without drinking the child should be fine, but if there was a lot of drinking during the night, they may not stay dry.